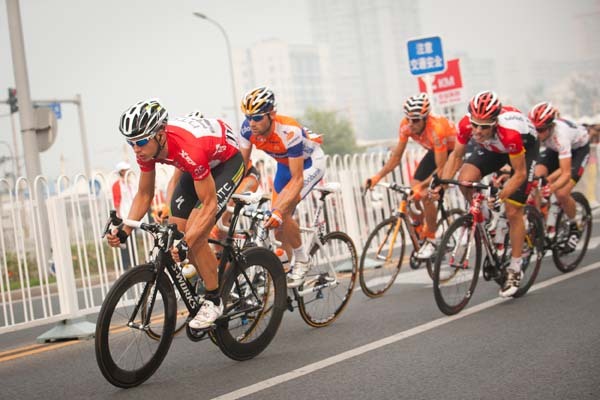 Denis Galimzyanov sprinted to win the Tour of Beijing’s final stage outside the Olympic stadium, where Tony Martin (HTC-Highroad) confirmed his overall win. Martin won the Tour of Algarve and the Paris-Nice stage races earlier this year. His next and last race this season – and for HTC-Highroad – is the Chrono des Nations time trial. The final Tour of Beijing stage started in the heart of Beijing, in Tian’anmen Square and travelled north to the home of the 2008 Olympics. 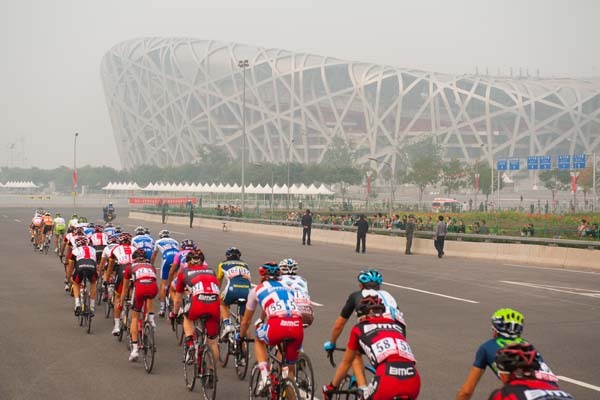 The riders closed the stage with 12 circuits around the Bird’s Nest stadium and the Water Cube swimming facility, 118 kilometres in total. Four days ago in the same location, Martin, David Millar (Garmin-Cervélo) and Alex Dowsett (Sky) dominated the day. Martin won the opening time trial stage by 17 seconds over Millar. He defended that lead over two demanding mid-mountain stages, including Friday’s stage when Sky’s Chris Froome went on the attack. Galimzyanov, though, ruled the day today. 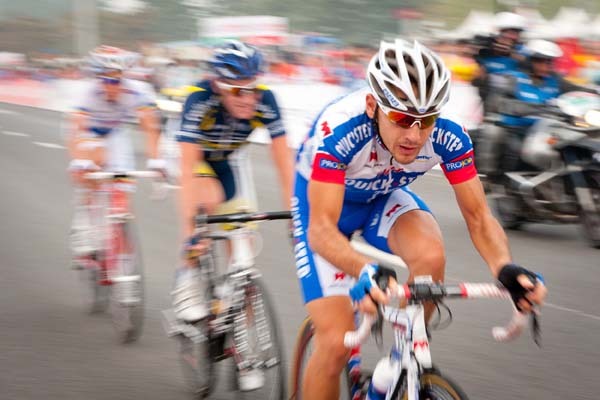 The 24 year-old Russian of team Katusha won Paris-Brussels last month and had been knocking on victory’s door in China. He sprinted clear of Juan José Haedo (Saxo Bank-SunGard) and yesterday’s winner, Elia Viviani (Liquigas-Cannondale). Katusha led in the final kilometres, but was pushed aside by Haedo’s Saxo Bank team. Galimzyanov took advantage of their and Rabobank’s work to win the stage. 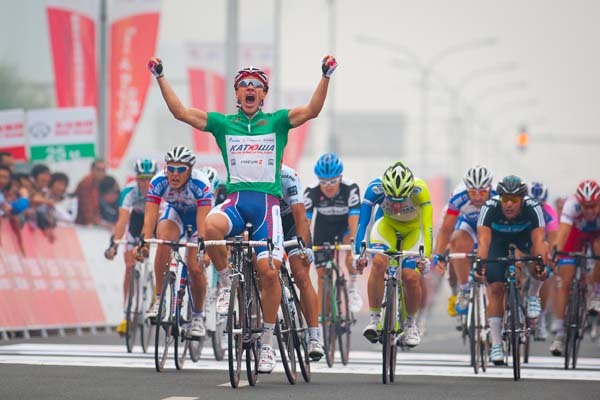 “I’m happy, this is my first win in a ProTour [WorldTour] race,” he Galimzyanov said. “The team did a great job, it was important that they put me in the wheels of the sprinters. Galimzyanov also won the green points jersey thanks to his consistency. “The green jersey is a bonus,” he added. “I just wanted the stage. Sky won the best team award thanks to Froome’s third place and Steve Cummings’ fourth place overall.